In July 2018, the Bank for International Settlements (BIS) asked whether the world was heading towards a perfect financial storm, with the US stock market heading for record highs even as emerging markets like Argentina and Turkey were running into foreign exchange problems. Twenty years after the Asian financial crisis of 1997–98 and the global financial crisis of 2007–08, storm clouds are gathering once again. Conventional economic models failed to predict the last two crises because the technical definition of financial risk is measured volatility. The global financial crises proved that current models of financial risk, largely used by banks and financial regulators, are totally blind to Black Swan or Grey Rhino events of unmeasurable uncertainty. This time round, the consensus is that the Grey Rhino (an event with high probability and high impact, but where the trigger is uncertain) is the looming rise in US interest rates in response to a domestic economy that is running at nearly full capacity, with low unemployment levels and signs of creeping inflation. As the BIS has warned, non-financial borrowers outside the United States owe US$11.5 trillion dollars, of which US$3.7 trillion is owed by emerging markets. Turkey’s recent currency woes are symptoms of domestic policies badly managed, aggravated by the US threat of economic sanctions. Turkey alone has US$467 billion of foreign debt. As global risks rise, capital is flowing back to the booming US stock market and potentially higher interest rate yields. Emerging markets have no alternative but either to allow exchange rate depreciation or defend themselves with higher interest rates that depress their own growth potential. Recently both Indonesia and Hong Kong had to defend their exchange rates through higher interest rates and intervention, respectively. The tricky thing about US interest rates is that economies with high domestic and foreign debt are vulnerable to tighter liquidity and financial fragility, because their interest rates and credit-risk spreads rise non-linearly. Doomsayers of East Asia’s financial collapse argue that China’s debt of 250 per cent of GDP is the tipping point. Financial risks are rising not just in China, but globally. Dun and Bradstreet’s Global Risk Matrix, published in May 2018, suggested that US interest rate rises could trigger a fresh debt crisis, sending the global economy into contraction. Echoing this sentiment, the International Monetary Fund’s July 2018 World Economic Outlook argued that rising trade tensions are threatening growth recovery in Europe, Japan and Britain more than predicted. Any overheating in the United States would trigger currency crises for some emerging markets. Global financial fragility comes from two structural imbalances. First, the United States is the leading deficit country in terms of trade and debt, owing the world a net US$7.7 trillion, or 39.8 per cent of GDP. This amount is growing because of rising fiscal debt and the low level of national savings. Second, below-par global growth since 2008 has been underwritten almost completely by central bank unconventional monetary policies, which have brought interest rates to an unsustainably low level. Western analysts think that the trigger will be a Chinese debt meltdown. But Chinese debt is internal debt, as China has foreign exchange reserves equivalent to 188 per cent of its foreign debt and still runs a current account surplus. China’s debt problem is an internal debt issue, very much like that of Japan. While Japanese debt is owed largely to Japanese households, Chinese debt is largely owed by state-owned enterprises and local governments to state-owned banks. In such a situation, China is well positioned to rewrite its national balance sheet, a privilege not possible for more privately dominated markets. A possible Black Swan (a low probability but high impact event) is an unexpected sharp increase in the yen–dollar exchange rate. Japan is the third largest economy after the United States and China and has been increasing its overseas assets since the 1990s. Between 2007 and July 2018, the Bank of Japan has grown its assets the most among the major central banks (to US$4.9 trillion, or just over 100 per cent of GDP). By the end of 2017, Japan’s gross foreign and net assets grew to US$9 trillion and US$2.9 trillion respectively, equivalent to nearly one quarter of US growth in gross foreign liabilities during the same period. US trade deficits have been sustained by foreign inflows (which had central bank origins) in which Japan is a major player. During the Asian financial crisis, sharp volatility in the yen–dollar exchange rate caused a dramatic withdrawal of Japanese bank loans from Asia, aggravating a regional liquidity crisis that was already spurred by speculative currency attacks. What complicates today’s financial fragility is Trump’s attempt to control the US trade deficits. He assumes that bilateral negotiations can reverse the unsustainable growth of national debt, which tripled in the last decade and may grow to 100 per cent of GDP in another decade. But tariffs only increase inflation for the consumer, which would trigger higher interest rates and jeopardise the fragile financial stability achieved through unsustainable monetary policies. The next global crisis will most likely be triggered by geo-political mistakes. 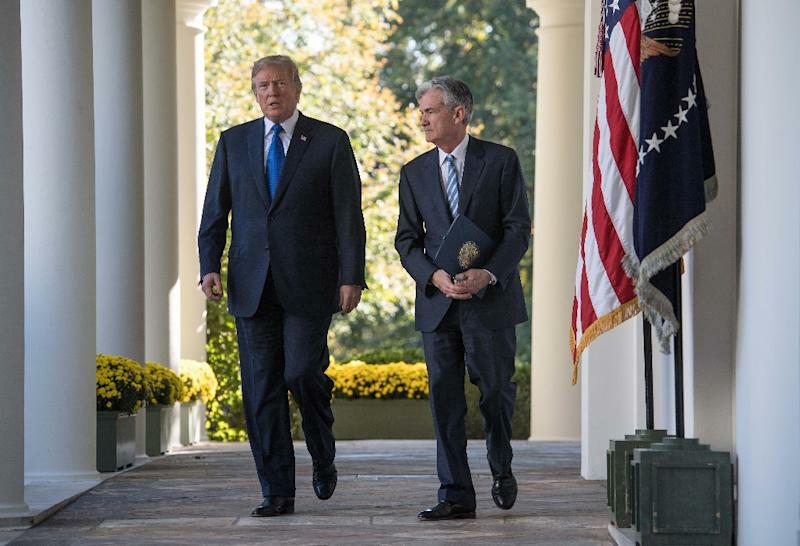 In an age when politicians are proving fickle in their decisions, central bankers are perhaps the only professionals who appear able to do something about financial risks. But since Trump does not care much about professional advice, Asian markets worry less about measurable financial volatility than unmeasurable personality risks. Andrew Sheng is Distinguished Fellow at the Asia Global Institute, University of Hong Kong. This article appeared in the most recent edition of East Asia Forum Quarterly, ‘Asian crisis, ready or not ’. 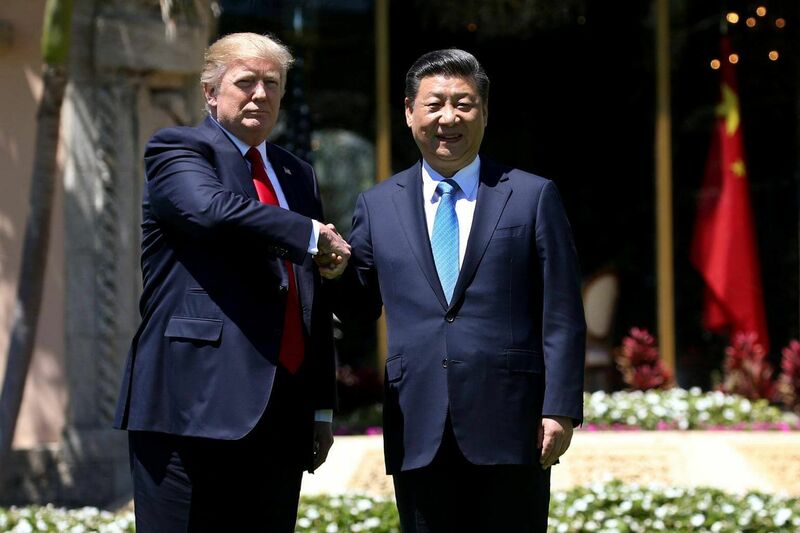 Posted in China, Donald J Trump, Finance, Geo-Politics, Global Issues, Monetary Policy, Political Economy, Uncategorized, US-China Relations, www.eastasiaforum.org, Xi Jinping. More than a decade on from the most devastating financial crisis since the crash of Wall Street in 1929, politicians and commentators have been extremely careful in offering predictions on when the next crisis will occur. Playing with economic predictions is like playing with fire. Nobody knows this better than former British prime minister and chancellor of the exchequer Gordon Brown, who repeatedly promised ’no return to boom and bust’. But there are reasons to be concerned. 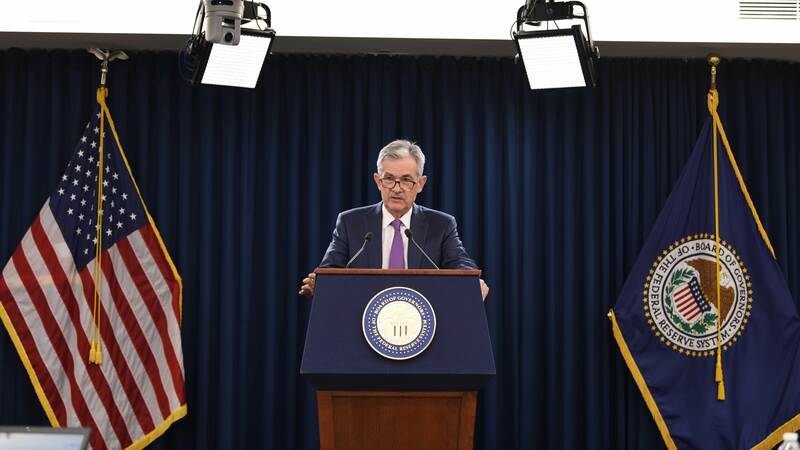 The gradual normalisation of US monetary policy could generate adverse spillover effects and disrupt global financial stability. Red lights are already flashing in Turkey and Argentina. A major correction in the United States’ stock market could trigger a significant shock for the rest of the world. High levels of debt, maturity mismatches and carry trades financed by short-term debt could fuel contagion through financially integrated markets. In addition, the deterioration of multilateral economic relations in the last 18 months might make crisis resolution more difficult than it was in 2008–09. As things stand, even if we don’t know how the next crisis will materialise, where the epicentre will be and which countries will be hit, we can infer that it will likely be more disruptive than its predecessor. What lessons can be drawn from Europe and its experience during the global financial crisis? The European economy is expected to grow, in real terms, by 2.5 per cent in 2018, a slight slowdown from 2.7 per cent in 2017. Countries that were badly hit by the crisis have finally come out of the tunnel and some, like Ireland and Spain, are in very good shape. Against this overall positive background the European Central Bank (ECB) is slowly and gradually preparing to normalise monetary policy. For years the economy was Europe’s key problem, now it is politics. The integrity of the European Union (EU) and its single currency is being challenged by populist politics that is building consensus on voter disaffection with rising inequality and the deterioration of living standards. Brexit, refugees and tensions between Germany and Italy on fiscal leeway are now threatening the entire EU project. Europe’s brand of populism is anti-migration and anti-financial globalisation, and resents a supranational construction like the EU that by definition is at odds with economic nationalism. Italy is the country that could trigger a perfect storm. Some members of the Italian cabinet have been playing with the idea of severing the ties with the Europe’s monetary union in order to regain control of monetary policy. Italy has been struggling for years with poor productivity growth and GDP growth. After some recovery in the past two years, the latter is now slowing down. Youth unemployment is at 35 per cent, one of the highest rates in the EU. Interest rates are on the rise, making it more expensive to pay interest on public debt that currently stands at 132 per cent of GDP. And the expansive fiscal policy promised by the two populist parties now in government is undermining investors’ confidence. But Italy is not an isolated case. Euro-scepticism is on the rise, especially in countries in eastern and central Europe that joined the EU in 2004. In Britain it has been driven by the idea that an independent trade policy would better serve the interests of the United Kingdom. Having served notice to the EU on March 2017, the UK is due to leave Europe’s single market and custom union in March 2019. It is unclear what the new relationship between the EU and the UK will look like. Political rifts inside the British government and the ruling Conservative party have resulted in a deadlock. In the meantime, a number of foreign companies, especially those in the banking and financial sector, have announced that they will relocate to the continent to maintain access to the EU market. The prospect of a hard Brexit has taken a toll on sterling, which has dropped by almost 12 per cent against the US dollar between mid-April and mid-August 2018. The British economy is expected to grow, in real terms, by 1.6 per cent in 2018. But increasing interest rates forced by inflationary pressures and a weak sterling may pose further constraints on economic growth. The UK is a deficit country, with a deficit in the current account of 5.2 per cent of GDP and a high level of personal debt. A series of corporate collapses — most recently, the bankruptcy of the infrastructure company Carillion — may trigger some financial instability. If there is a lesson from Europe’s experience with the financial crisis, it is to consider the long-term effects of crisis resolution. In 2011 and 2012, at the peak of Europe’s sovereign debt crisis, that followed the global financial crisis, efficiency in crisis resolution took priority over legitimacy. Draconian measures were imposed on Greece while fiscal austerity became the norm across the whole region. People, especially those in southern Europe whose economies had been decimated by the crisis, felt the hit and resented being told what to do by unelected bodies such as the ECB, the European Commission and the IMF. Today’s dysfunctional politics is significantly a response to those mistakes. In 2008–09 international cooperation played a key role in crisis resolution. 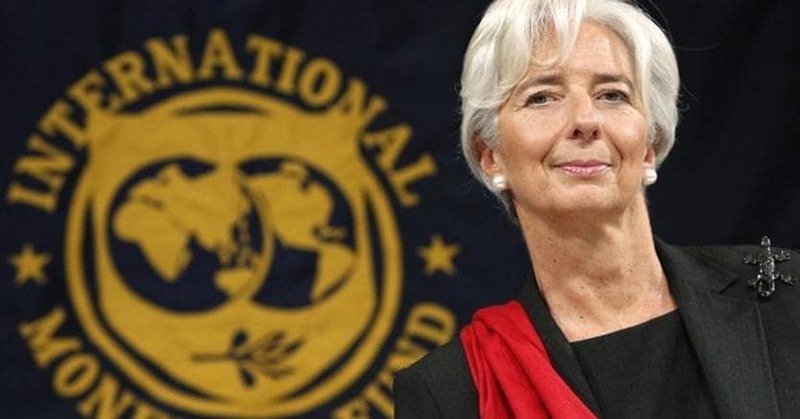 Even if the G-20 did not deliver overall reform of the international monetary and financial system, its broad-based governance system, inclusive of emerging markets, managed to get member states to work together. Today this cooperation would be more difficult to achieve. While in 2008 politics was fairly neutral, today it is hugely divisive. The United States is in retreat and increasingly unwilling to lead. China is not ready yet to take over and to provide the financial safety net that would be necessary in case of a crisis. Europe, especially the leading countries such as Germany, France and the UK, are primarily focussed on domestic politics. In 2008, crisis resolution was also possible thanks to the concerted effort of key central banks. Nowadays the power of unelected bodies is rightly questioned and scrutinised. The main lessons from the long financial crisis in Europe may be lost amid economic nationalism. Experts tend to be the repository of such lessons, but there is little respect for experts in today’s politics. Paola Subacchi is a Senior Research Fellow at Chatham House, Royal Institute of International Affairs, London and a visiting fellow at ANU. Posted in Boris Johnson, EU-UK Relations, European Union (EU), Monetary Policy, www.eastasiaforum.org. PRINCETON – So far this year, the world has marked the 50th anniversary of the Prague Spring (and its suppression), the centennial of the end of World War I, and the bicentennial of Karl Marx’s birth. Against that backdrop, should one really care about the tenth anniversary of the collapse of Lehman Brothers? The second narrative was that Lehman’s failure had made the Wall Street crash of 1929 and the Great Depression newly relevant. Policymakers drew lessons from the interwar years, and successfully avoided a full repeat of that period. During the Great Depression, especially in Germany and the US, the prevailing attitude was that of then-US Secretary of the Treasury Andrew Mellon: “Liquidate labor, liquidate stocks, liquidate the farmers, liquidate real estate.” By contrast, the response during the Great Recession was to use public debt to replace insecure private debt – an intervention that would prove sustainable only as long as interest rates remained low. At first, the 2008 crisis was widely regarded as a quintessentially American disaster, owing to the country’s mix of testosterone-driven finance and penchant for promoting home ownership even for those who cannot afford it. Only gradually was it recognized as a truly transatlantic affair. As the economists Hyun Song Shin and Tamim Bayoumi subsequently show, badly regulated, oversized European banks played a key role in the build-up of risk throughout the financial system. Neither of the first two popular narratives is really correct. The crisis was not a market failure, but rather the product of opaque, dysfunctional non-market institutions that had become perversely intertwined. It exposed the problem of complexity – not of markets as such. Specifically, the reason that Lehman was such a problem was that it was not really a single corporation. It comprised some 7,000 separate entities in over 40 countries, all of which would need to go through a complex and costly valuation and bankruptcy process. This opacity, which was hardly unique to the US, created the sense that the world was close to another Great Depression when it really wasn’t. The crisis was the product of escalating short-termism in financial markets. While banks wanted to offload securitized products before they became toxic, other market participants were looking to win on short-term bets, paying little mind to the longer-term viability of the investment. In this sense, volatility was desirable, as it created new opportunities for gain. Financial behavior does not occur in a vacuum. The same kind of short-term, hyperactive mindset that felled Lehman was also taking root in the rest of society at the time. Tellingly, the iPhone was introduced in June 2007, just as early signs of the impending crisis were coming into view. The new digital devices and platforms encouraged hyper-individualism. But they also affected political outlooks and behavior, by making it easier than ever to reinforce one’s own views while avoiding alternative opinions. One result, little wonder, is the online culture of demonization, abuse, harassment, and manipulation we see today. Lehman Brothers’ collapse revealed a flaw not just in finance, but in twenty-first-century politics and society. The irony is that, rather than forestalling an era of technologically driven short-termism, the subsequent crisis seems to have accelerated it. Posted in Ethics, Financial Scandal, Governance, Monetary Policy, Political Economy, Project-Syndicate.org.